Is this a painted canvas? No, it is a digital thermal print. We use latex based ink, printed at super high resolution revealing great detail and texture. It looks like a painted canvas, but it is not. Can I supply an image to you and have it printed as a large modern canvas? Yes , just click here to go to our photo2canvas product. 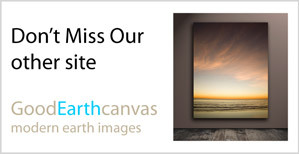 You can submit a digital photo and have it printed into a large modern canvas. You can choose from the same 3 sizes; Jumbo , Large and Small. 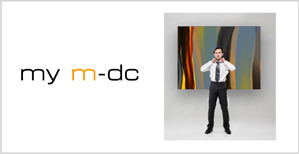 We ship out all Main Gallery images on the next business day All other M-DC's within 3 business days via FedEx Ground. If you need to expedite an order please contact us, for an extra fee we can arrange expedited shipping of your order. How thick are the stretcher bars? Our bars are 1 and 3/8ths of an inch thick. We finish the back and attach D-rings and a coated hanging wire. The depth of your canvas will be about 1 and a half inches. What if I want to hang the canvas in a direction other than what is shown? No problem! Just enter the way you would like us to attach the hanging wire (either horizontal or vertical) in the customer comments box when you place an order and we will make it so. How do you create the images? Each one is an original studio piece created by our design team and headed by our creative director. All images are a mixture of digital and hand process. Yes ! While we do not recommend you hanging them outdoors or in place with direct water contact. They are highly water resistant. How do I know exactly what the colors are like? Unfortunately, different monitors will produce different color tones, we feel that overall colors are 90% accurate. If you are looking on a newer model Apple computer, we feel the colors are very accurate. What if I'm not happy with my M-DC? You can return your purchase for any reason if you contact us within 30 days of your receiving it. No hassle, if for any reason you don't love it, get in touch ! We arrange fedex to bring it back right from your door. If you want to return or exchange, you must call us and request an RMA# FIRST, before you send something back. All goods must be sent back in ORIGINAL Packaging via FEDEX ground. We charge $39 per item to pick up from your location and ship it back back to us. Hawaii , Alaska and CANADIAN orders are a FINAL SALE , no exchanges or returns are possible from these locations. **ALL VOLUME ORDERS OVER 20 PIECES, WITH DISCOUNTED PRICING ARE ALSO A FINAL SALE , NO RETURNS UNDER ANY CIRCUMSTANCES. Our parent company has been in business since 1999, and md-canvas.com has been around since 2004. We have a strong reputation in the industry for our high quality and high service standards. We will do whatever it takes to get it right and make you happy with your purchase. We stand behind our products with an unconditional guarantee. Yes ! WE charge extra fees to cover the higher shipping costs for US to Canada.After your order arrives, you will receive a separate bill from FedEx for import duties, fees and GST, YOU ARE RESPONSIBLE TO PAY FEDEX FOR THESE FEES DIRECTLY TO THEM. To see specific pricing just enter your postal code to the Estimate Shipping Costs function when you add items to your cart. NOTE, all Canadian orders are a FINAL SALE, we do not accept any returns, for any reason on orders from Canada.